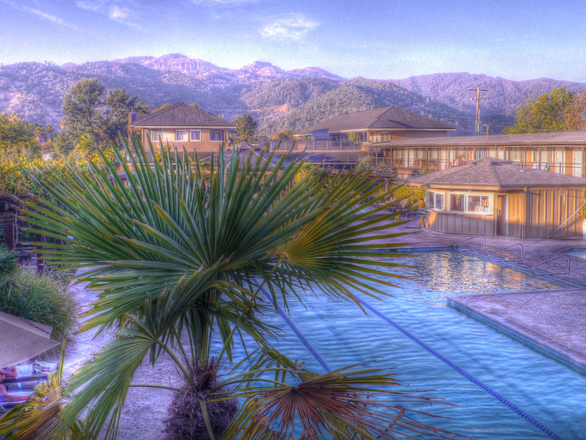 As a way of welcoming our loyal guests back to Calistoga we are greeting spa guests with a special welcome gift. During the month of November guests booking a one hour massage or more will receive the same welcome amenity featured in our Girls Getaway Package This midweek package begins at $99.00 and includes: One hour Swedish massage, Kimono Robe with Logo, Lavender Eye Pillow and EO Lavender Lotion. Guests may upgrade their massage treatment if desired and still receive the welcome gift. Package available October 31, 2017 - November 30, 2017 Monday - Thursday Non Holidays. (from when the fires hit right up to the festival) going to the local Disaster Relief Fund.